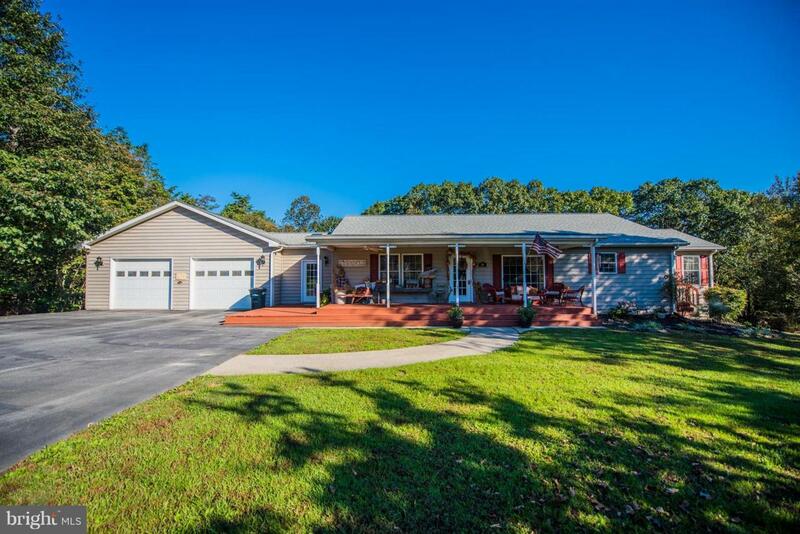 Beautifully maintained 1800+ sq/ft Ranch Home! Private 2.00 lot on a cul de sac. Come in the Front porch to the main floor living area: 3br, 2ba, sunroom, large kitchen/breakfast bar, living rm and dining rm combo and a mudroom off of the 2 car garage.Paved 2902 sq/fr driveway.Spacious lower level living space, storage area, 3rd ba.Check pictures of the "cool" outdoor living space. Home Warranty!